Nearly every page of the Bible contains prayers of intercession, petition and acclamation. We often miss these prayers either because of their brevity or because their structure is much simpler than the supplications we have learned from childhood or expect to hear in church services. These bibical sources, however form the very foundation of our life of prayer. This 2015 calendar calls attention to one of these passages each month for your reflection and prayerful meditation.” May these invocations taken from the inspired Word of God urge you on your way with hearts full of gratitude and love. 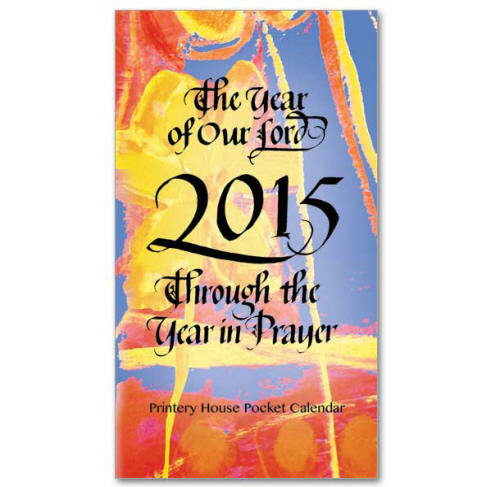 The Year of Our Lord 2015 desk calendar—Through the Year in Prayer—contains a rich variety of prayers from many different traditions to accompany your journey through the New Year. Biblical prayers, petitions of saints, invocations of lay persons and intercessions from traditions of both the East and the West make up this spiritual treasury for your weekly reflection. Details: Art and lettering by Maura Nolan Winkler. Handy pocket or purse calendar for the person on the go! Nearly every page of the Bible contains prayers of intercession, petition and acclamation. We often miss these prayers either because of their brevity or because their structure is much simpler than the supplications we have learned from childhood or expect to hear in church services. These bibical sources, however form the very foundation of our life of prayer. 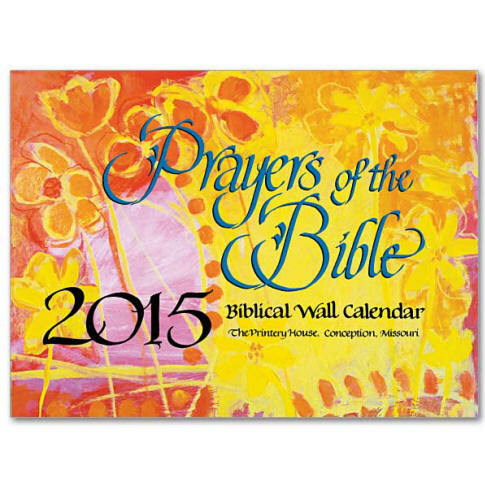 This 2015 calendar calls attention to one of these passages each month for your reflection and prayerful meditation.” May these invocations taken from the inspired Word of God urge you on your way with hearts full of gratitude and love. 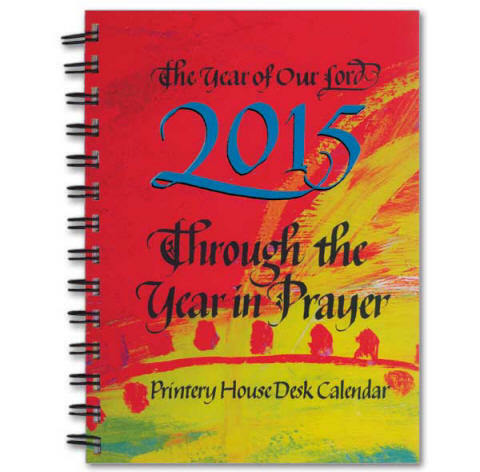 ECUMENICAL AND LITURGICAL DESK CALENDARS- CLICK HERE!